Newborn screening saves or improves lives – 12,000 each year, to be specific. Every year over four million babies born in the United States have their heels pricked during the first days of life to check for certain devastating conditions that are not otherwise apparent at birth. The small number of babies who test positive for those conditions may suffer serious and irreversible damage without early detection. Newborn screening enables health professionals to identify and, in most cases, treat those babies allowing them to grow up to live healthy, normal lives. The newborn screening program is one of our nation’s greatest public health achievements, but that doesn’t mean it is perfect. Last year a series in the Milwaukee Journal Sentinel drew public attention to some of the areas in which the newborn screening program needed to improve. That story and a recent editorial in USA Today focused on the amount of time between specimen collection, testing and reporting of results. Timeliness is critical for the newborn screening program to be a success, and we acknowledge the valuable contribution these articles have made. Continual quality improvements – including timeliness – have been and continue to be a priority for public health laboratories, the agencies responsible for identifying and reporting positive newborn screening test results. In fact, APHL recognized the efforts of many state programs during the 2014 Newborn Screening and Genetic Testing Symposium. Many state newborn screening programs have conducted hospital site visits; conducted targeted outreach to lagging performers and publicly recognized top performers; provided hospitals and other specimen submitters with guidelines for collection of specimens; reinforced regulatory requirements; and provided training for use of overnight courier shipping software. Program changes like these in states around the country have significantly improved specimen transit times. APHL and its members have collaborated with the Department of Health and Human Services Discretionary Advisory Committee on Heritable Disorders in Newborns and Children to develop updated recommendations on timeliness guidelines. These activities occur in tandem with a series of other quality improvement activities including proficiency testing, evaluation of emerging technologies and implementation of quality practices pertaining to screening, confirmation and results reporting. I am proud of the work state newborn screening programs are doing every day. We do not take the public health laboratories’ role in this life-saving program lightly, and I thank the staff for their dedication to improving it. 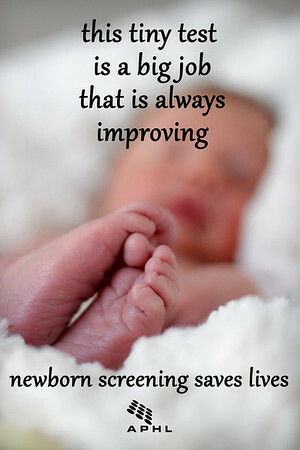 Our focus is on the babies – it always has been and always will be. Simply stated, biomonitoring allows public health practitioners to understand whether environmental contaminants are being absorbed into people’s bodies. 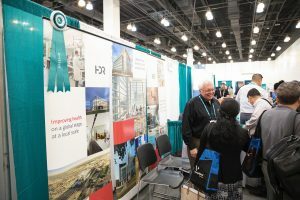 Given improvements in technology; the capabilities and expertise that now exist in public health laboratories; and the increasing public demand for more information about chemical exposures, biomonitoring is poised to become an integral component of public health practice. 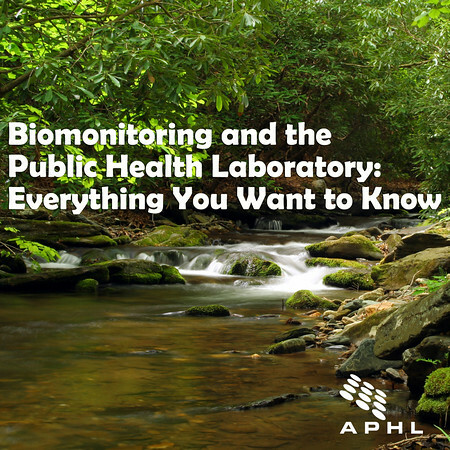 APHL proudly recognizes all of the great work public health laboratories are doing to advance the practice of biomonitoring. We have made it a priority to share these biomonitoring achievements through a variety of channels. Tell us what you think: EH@aphl.org. Growing up along the south shore of Long Island’s eastern end, my interests covered everything aquatic. 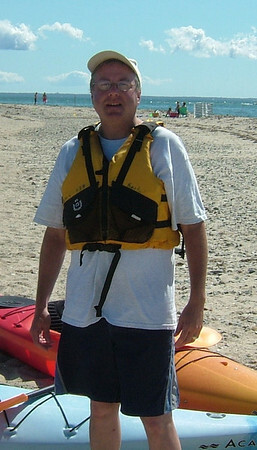 My every waking hour was spent on the water fishing, boating, clam digging, and exploring. My every dream was driven by the excitement of the sea. It was an exceptional lifestyle for an adolescent who cared more about adventure than academics. Nonetheless, my future was destined to involve higher education and research by the vision of my father who was a veterinarian, a research scientist and veterinary college professor. While earning my BS in Biology, a close priority became serving as president of the outing club, an adventure wilderness group of students spending weekends in the Adirondack Mountains. Opportunity also came to me in campus residence life as I worked as a resident advisor and then assistant dormitory director. The training and experiences included interpersonal communication, conflict resolution, supervision and management as well as life lessons that would play a major role later in my laboratory career. Upon graduation, my passion had become feeding the world through aquaculture. After marrying my college sweetheart I enrolled in an MS degree program of Fisheries and Allied Aquaculture at Auburn University. Waking up before dawn to measure dissolved oxygen levels in the catfish ponds and constantly worrying about the threat of O2 depletion, and losing thousands of pounds of fish was not going to be my way of life. The laboratory environment became much more interesting. My major professor introduced me to the nutritional biochemistry of fish diets and feeds. Replacing fish meal with soybean meal in catfish diets was the subject of my research and thesis. “We are what we eat!” With fish I learned that feed analysis is critical to understanding how diet affected the growth, health and production of farmed fish. I earned my MS realizing that laboratory scientists have a significant role in feeding the world just as the farmers do. I landed a research associate position on a project at Louisiana State University funded by a NIH grant to develop laboratory grade bullfrogs (Rana catesbiana) in place of the wild caught overly-stressed specimens for neurophysiologic research. My role was to improve the diets for larval stages of tadpoles! In the laboratory we bred and raised several bullfrog line generations. During metamorphosis however tadpoles frequently developed skeletal deformities including scoliosis. My research focused on dietary and environmental factors that were causally suspected. While the research was very interesting, I became convinced that it would be more rewarding to lead the research activities and that earning a Ph.D. was necessary to continue my career. During my Ph.D. program at the University of Rhode Island I worked as a research associate for the Department of Food Science and Nutrition. My duties as instrumentation specialist involved me in a variety of the department’s research activities. While pursuing my doctoral dissertation developing microencapsulated diets for larval marine fish, I learned the importance of elucidating environmental components such as pesticides, PCBs and metals in natural (plankton and brine shrimp) and formulated diets (various fish meals, fish oils, grains and other ingredients) for growth and survival during fragile larval stages. Learning to apply the tools of analytical chemistry to the analysis of environmental components in feed and living organisms, I forged my career path into environmental laboratory analysis. After earning a Ph.D., I worked for an environmental analysis laboratory starting as supervisor and eventually as laboratory director before the company moved to South America. We provided laboratory services to national clients including the US Department of Defense, EPA and many environmental engineering contractors. We analyzed sample matrices included air, water, soil, biota and food. Professionally I was so rewarded by the teaching, research and managerial aspects of my job that I didn’t expect to find in the commercial sector. Teaching newly hired graduates, improving methodology and instrument performance, and sharing a vision of the critical paths to achieving objectives kept me interested in the work. Client centric laboratory services were important to me. In 2004 I was hired by the RI State Health Laboratories (SHL) as Quality Assurance Officer in the Environmental Laboratory Sciences section. In 2007 I became Chief Environmental Laboratory Scientist of the section that includes the chemical and microbiological analysis of drinking water, food, air, dairy, shell fish, recreational water and ambient river samples for the health and environmental program partners we serve. I point to the dedication of staff, peers and colleagues for the successful SHL services provided to our state health and environmental program and industrial partners. As a public servant I have come to understand that the existence of our laboratories depends on the successful outcomes of our partners in public health and environmental protection. Outside of work I enjoy spending time with my family and I still pursue the adventure of the great outdoors all seasons of the year.